Once again, thank you to everyone who has contributed to "our" cause. The benefits of your generosity is our ability to help North Catholic Alumnists who are making a difference in our community. One of the unsung hero's of North Catholic has been Fr. Neil Kilty. Through thick and thin, Fr. Kilty has been there for everyone, and I mean everyone. 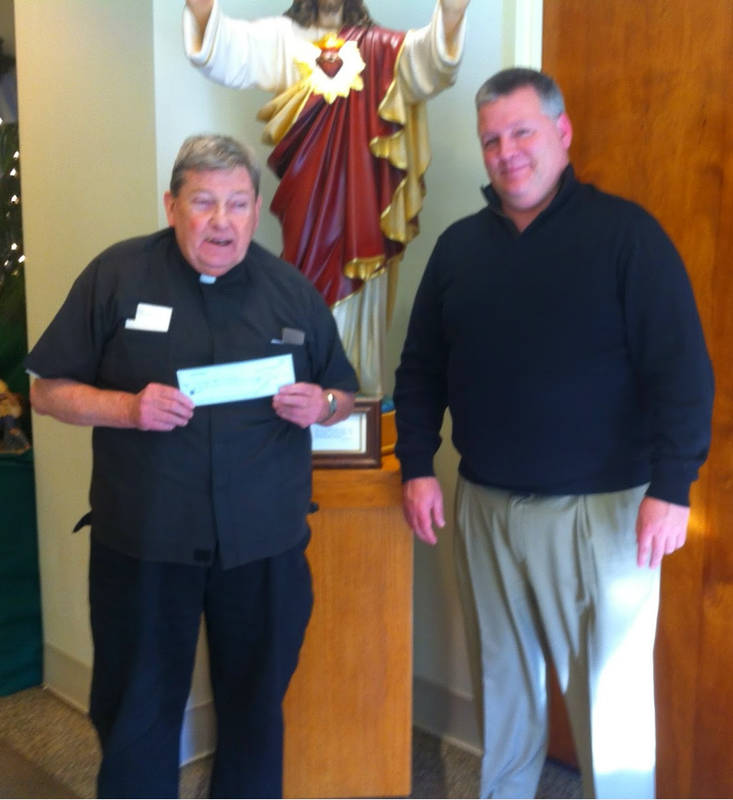 It is our great pleasure to present our donation to the Sacred Heart Free Home for Incurable Cancer. Pictured below is Norphan, Mr. Mike McBride, Class of 78 '81, with the legend, Fr. Neil Kilty.